Dreaming Of New York, Hawaii Grad Heads East Fresh out of college, Ryan Kam is leaving his home in Waikiki to move to New York City to find work because Hawaii lacks the diversity of jobs that exists on the mainland. Tourism, the dominant island industry, offers few opportunities for upward mobility. 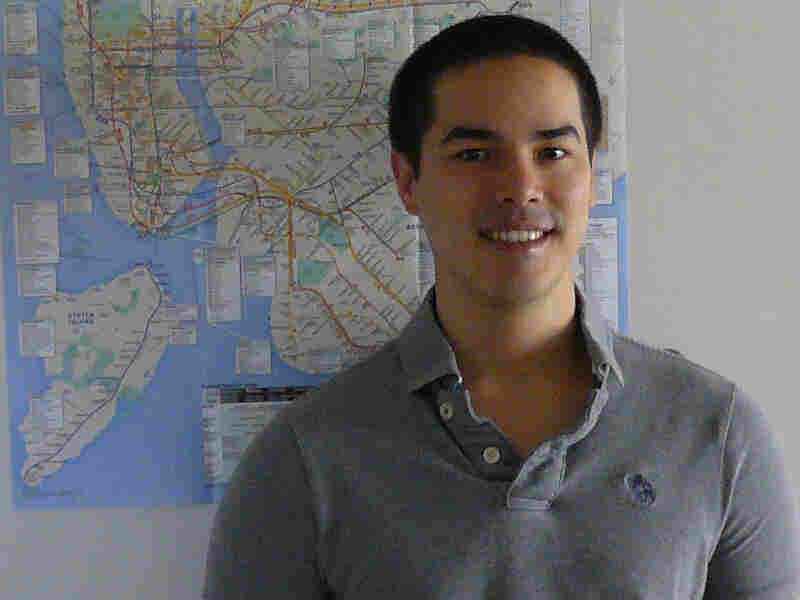 Ryan Kam is almost cavalier about his job prospects as a history major. "I have a background in retail, which is an equally useless skill," says the 22-year-old. "Because it obviously doesn't take much to ring up a cash register, you know?" Kam, who born and raised in Hawaii, faces another hurdle: Hawaii lacks the diversity of jobs that exists on the mainland. Tourism, the dominant industry, offers few opportunities or upward mobility. So he's heading to New York. He has a New York City subway map hanging on the wall of his apartment in Waikiki. It's a souvenir from a semester at Queens College. "I think you start to really, really fall in love with the city the more time you spend there," Kam says. "I mean, you get to know things and then you realize like how awesome the place is." He has another reason to move: His girlfriend lives in New York. For lifelong residents of Hawaii, moving to the mainland can be difficult, and momentous, but Kam's parents don't seem worried. Kam's father, Frank, actually seems excited. "I want to see what happens," says Frank Kam. "'Cause like I said, he's the kind of guy that can make things happen." Frank Kam says his son talked his way into his first job in high school, and sometimes worked two jobs at a time since then. Ryan's mom, Diane, admires her son's willingness to pursue a dream. She herself joined the Navy out of college because she couldn't find a job with her business administration degree. And she's encouraging her son to take the leap: "Do all the things that of course we dreamed of when we were kids, but never carried out. I always had that aspiration." Diane Kam recalls another comment from her son that left an impression. "He said he wants to be in a better position when he's our age than we are, so that's like every parent wants their child to do better than they did," Diane Kam says. "Every generation has gotten better and so now we are at that point where this generation -- they don't know if they are actually going to be able to do better than the parents did because of our economy." Kam may not have the engineering, accounting or other practical skills that make it easier to find a job quickly out of college, but he's got one thing going for him -- no student debt. That's thanks to his grandmother who helped him pay his college tuition. He plans to leave for New York in August and work for a year, save some money and then escape the rough job market by applying to law school. "As far as I'm concerned, evading the real world for a little bit is not a bad idea, especially with the current economic climate," Kam says. "Law school is a great way to kill time."